November 16, 2011 marks the 12th anniversary of Voice Actors in the News since it began as a self-published fanzine. After two years of planning, redesigning, upgrading, archiving and beta-testing (most of which I cannot take credit for), Voice Actors in the News has finally moved to its new home: VOICEACTORSNEWS.COM, graciously redesigned from scratch and hosted by toonzone.net. Please update your bookmarks accordingly, and for our subscribers we do have an RSS feed available on the new site. This plain white bread-looking version of the blog will no longer be updated, but will remain here for posterity. Our entire database here — more than 700 entries — has already been duplicated and archived on the new site. Furthermore, The Voice Actors Appreciation Society — one of the web’s first communities for voice actor fans — also has a new home on toonzone’s forums. Thanks to our fans for supporting us over the last 12 years. The new site will give us an opportunity to expand and grow far beyond what has been achieved here. And we will continue to provide daily entertainment news, info and resources related to voice actors and voice acting, as we strive to promote the work of and bring recognition to voice actors in all media. The following is a repost from the All Things Bob Bergen Facebook Group, with permission from Bob Bergen. It was originally published February 5th, 2011. Please scroll down for the most recent updates. ToonCon– a fan convention devoted to fans of animation voice actors. This would take place on a 3 day cruise out of Los Angeles some time in 2012. Guests would include some of the top animation voice actors from some of the top animated series’ and features in the business. Kind of a cruise vacation/con combo! -as well as all the things involved on a cruise: miles of food, miles of ocean, port of call, ship’s entertainment, casino, etc. Let me know your thoughts! 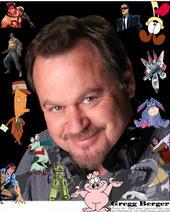 There has been a lot of interest amongst the top animation voice actors out there. If this gets a green light I’ll let you know. My goal is to start selling this in the early Spring. And of course, it will get a big push at the San Diego Comic Con in July. Cruises book up early, and deposits would be needed to hold cabins. Deposits are refundable up to a certain date before the excursion. But cruise lines will only block off the cabins for a limited time, so early deposits are important to guarantee the best prices and availability. This is all still in the planning stages. But let me know your thoughts. And if this is something you might be interested in pop me a note and I’ll make sure you get first dibs when this goes on sale. 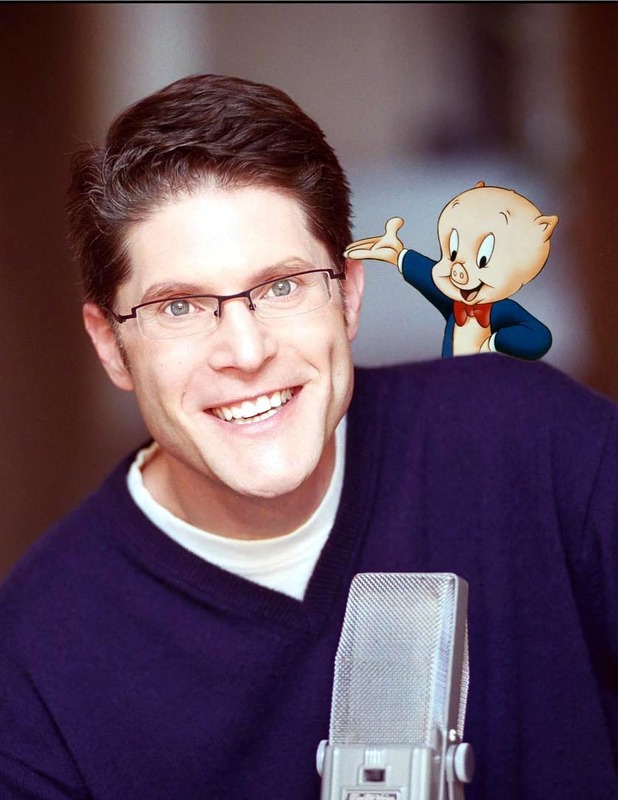 Exclusive note for Voice Actors in the News readers: Send your feedback to Bob and Gregg via bob@bobbergen.com and mention that you saw the news here and Bob says he will make sure that those who respond from reading the blog will get priority when they begin taking bookings. Bob: I [attended] an animation voiceover [event in Burbank, CA]. I enjoyed it tremendously, made great contacts, good experience and got lots of good reference material. I can probably speak for all of us when I say the convention itself is a good idea but considering the negative publicity several recent cruises have received (mechanical problems, bad weather, etc), I’d prefer to stay on land. I’d also find it EXTREMELY helpful if established voice actors like yourself could give us a bit more insight on how to get our feet in the door. Thanks for the feedback. This is still very much in the planning stages. The cruise is really incentive for the voice pros. We do a ton of these sorts of conventions and having a paid vacation on a cruise along with the fan con is a big hit. There will be Q&A planned as a part of the con. But it isn’t a workshop per se. That said, I do hope to have an animation agent and casting director on board as well. And believe it or not, a cruise is far cheaper than doing this on land. I know a cruise isn’t for everyone. But my goal is that this is the first annual con of it’s kind. I’d love for the next one to maybe be on the east coast. And as far as “issues” regarding cruises, what doesn’t make the news is the hundreds of cruises with no issues each year. But the 2 or 3 problem cruises a year, statistically, should not be of concern. Trust me, more people will have problems flying this year than on a cruise. Bob has promised to provide further updates as things progress. And on the mention of voiceover workshops, Bob hosts a recurring one in Los Angeles . . . which is usually sold out a year or two in advance, unfortunately. However, he schedules workshop events and performs his one-man show in other U.S. cities throughout the year. Check his appearances schedule on BobBergen.com to see if he’s coming to a city near you. He still currently has spaces available for his May 21-22 workshop in St. Louis, MO. Here’s the Facebook event link for more details. ** Update: Bob is offering a 10% discount for Voice Actors in the News fans/readers for his St. Louis workshop. If interested, contact Bob’s workshop producer Marian at marian@marianmassaro.com and be sure to mention that you read this through Voice Actors in the News. November 16th, 2010 marks the 11th year since I first began publishing under the title Voice Actors in the News. Over the course of a decade [you can read about the blog’s history here], it has progressed from a periodic newsletter focused on voice actors in animation to a blog covering entertainment news about voice actors in all forms of media. It also used to be a newsletter that I self-published via The Voice Actors Appreciation Society, which even though the group had a few hundred members I didn’t even know if anyone was reading it since I rarely ever got any feedback on it. It was just something I did as a hobby. After upgrading to a blog format in March 2009, I discovered that not only were others reading it, but within the few first months I was averaging around 100 readers per day. And after seeing my readership triple in the first year, it became very clear to me that this was not a task I could continue to attempt on my own. I began reaching out to others in the fandom to assist as staff contributors and as of this posting we’re up to a staff of eight. – 800 followers on Facebook. – 500 followers on Twitter. – And this wasn’t planned but it’s certainly appropriate that this marks my own 600th post on the blog since March 2009. A very special thanks to my friends Brian and Harley at toonzone.net for being the first to give me a platform to publish my newsletter and for the continued years of friendship and support for my efforts. Also special thanks to my longtime friends and fellow voice actor fans Kristy (Voicechasers.com), Doreen (Sites By Doreen), and Hillary (CultofCummings.com) — seeing their devotion to bring recognition to voice actors motivated me to spend the last 11 years writing about them. And I attribute the incredible boost in blog traffic in 2010 to the addition of our staff contributors, whom I am most grateful that they have joined in this team effort: Doreen, Jeff, Mark, Kyle, Ashley, Sonia and Rosemary. I’m very excited about some of the upcoming additions and expanded coverage for the blog, the first of which we will announce in the first quarter of 2011. Thanks to all our readers out there — both the professional and fan community — for their support over the last 11 years. We will strive to continue and expand our efforts to serve the fandom and bring recognition to and appreciation for the work of voice actors. Also thanks to my wife Joy being supportive of my non-profit hobby. She’s been very patient to wait for her chance to use the computer in little windows between the time I spend in service to the fandom online, and has tolerated my spending time blogging when I could have been doing other (and perhaps more important) things, and I love her for it. This article was originally published 10.19.2010 and has since been updated with new content. Please scroll down for the most recent additions. “She’s like my little muse,” Mazzarino said. As Mazzarino and his wife watched their daughter grow, he noticed a change when she started playing with Barbies. Segi started saying negative things about herself and her own hair. Mazzarino [who also helped to design the Muppet character] decided to help his daughter and other young girls appreciate their beauty. 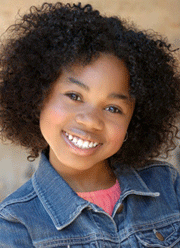 The singing voice belongs to Broadway star Chantylla “Chauncey” Johnson (The Color Purple, The Lion King). Q: Where did the concept of the “I Love My Hair” sketch come from? Mazzarino: I have a five year old and she’s African American. My wife and I are both white. When she was four we were going through stuff with her hair where she wanted have hair that was straight. I tried to say to her, “Your hair’s great. It’s so beautiful and you can do so many things with it.” I thought it was a problem unique to us because we were white parents and she saw us everyday. Then Chris Rock’s movie Good Hair came out and I realized it’s not just about being raised by white parents. It’s an issue for a lot of little girls. Q: Are your surprised by the reactions of this sketch on the internet? Mazzarino: I got a call from a state senator’s office the other day and the woman I spoke to was one of his deputy’s secretaries. She said, “I’m an older African American woman and I started to cry when I saw it.” You know you write this stuff in a dark room by yourself. I just wrote it hoping my kid would be happy with who she was. The fact that it touched not only kids but adults makes me feel great. Q: Do you think people will be surprised that you’re white and wrote this song? Mazzarino: I hope not because I really want the song to be about the message and not me. If they do, I hope it doesn’t affect their feelings of the song because it really comes from a place of love for my daughter. 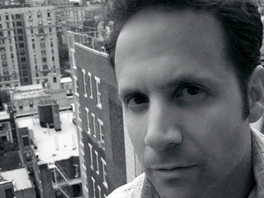 Update: 10.20.2010 — Via The Muppet Mindset, CNN.com has posted a video interview with Mazzarino. Update: 10.22.2010 — New York Magazine’s Vulture blog has an interview with Mazzarino discussing the popularity of Sesame Street’s videos, his “I Love My Hair” song, and the controversy over Katy Perry’s duet with Elmo. Elsewhere, Mazzarino discusses the song on NPR’s All Things Considered. Blizzard Entertainment has surprisingly not announced any of their voice actor guests scheduled to appear at BlizzCon 2010 on October 22-23 in Anaheim, CA. We’ve also been informed that an autograph session will take place Saturday from 1-2pm. It’s all ears on Blizzard Entertainment sound and music! Join us for a discussion on how topnotch voice acting, dramatic orchestral scores, and striking sound effects are used to make Blizzard’s games even more epic. Jay Mohr (who has voiced characters for video games and animated productions) is serving as Master of Ceremonies, and rockers Tenacious D (Jack Black and Kyle Gass) will also be performing for BlizzCon’s closing ceremonies. We hope to provide photos, video and fan reports following the event.